UNICO 20°N 87°W - Riviera Maya || Save on Your Vacation! This incredible hotel boasts an on site celebrity chef, a personalized host, and impressive decor. Just when you thought that the high level of quality service, and outright pampering that characterizes the luxury resorts in Playa del Carmen and the Riviera Maya couldn't get any better, Unico Hotel Riviera Maya looks to up the ante. This adults-only, luxurious five-star hotel will be the only place you ever want to be. 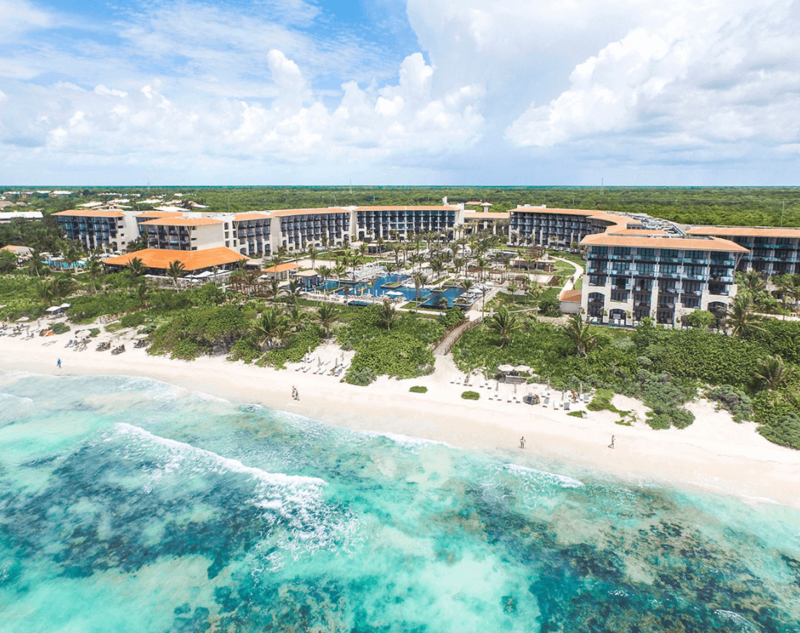 Opening in the first quarter of 2017, Unico Hotel Riviera Maya is taking the concept of all-inclusive and personalized service to another level. In addition to an array of amazing amenities and services included in the all-inclusive package, Unico Hotel Riviera Maya also incorporates the concept of a Local Host or Anfitrion. The hotel's aesthetics are stunningly beautiful, in which elements of an elegantly rustic tropical setting fusion with touches of sophisticated modernity. Your personalized host will act as the curator of your travel experience, allowing you to get a much deeper appreciation of the beauty in the stunning Riviera Maya and all of its sites, attractions, restaurants, and shops. The design of Unico Hotel Riviera Maya is inspired by regional culture and combines the grace and eloquence of an upscale rustic setting with a level of contemporary refinement that combines past with the present. Using natural materials and an artist's eye for detail and beauty, each space of Unico Hotel is designed to be airy, spacious, and illuminated to create a constant sense of relaxed luxury and comfort. Estancia Suite - 1 bdrm. / 2 bdrm. With such attention paid to creating a unique and pampering travel experience like no other in the Riviera Maya, Unico Hotel Riviera Maya matches the visual treats and pampering service with 5 great restaurants and 6 bars/lounges. The crown jewel of this culinary haven is Cueva Siete, featuring celebrity chef Christian from the show "Top Chef". Backed by the top quality ingredients in the region and the creativity and flavors of a team of great chefs, Unico Hotel Riviera Maya intends to enamor guests with a gastronomic experience worthy of the hotel's five-star ranking. Unico Hotel Riviera Maya is a mid-size, adults-only luxury resort that serves as the perfect venue for smaller groups or wedding parties. However, the fact that is adults-only will be a factor in deciding whether this is the right option for a Playa del Carmen wedding. Unico Hotel Riviera Maya is an excellent choice for incentive travel, corporate conferences or team-building projects. Guests will be overwhelmed by the level of quality and service provided by the hotel as well as the state-of-the-art installations and technology. Esencia Wellness Center is the name of the rest and relaxation haven at Unico. In addition, the hotel also boasts a state-of-the-art fitness center as well as a basketball and tennis courts.